A native New Yorker, Laura is a (self-taught) artist and designer who has been living in Massachusetts since the 1970s. 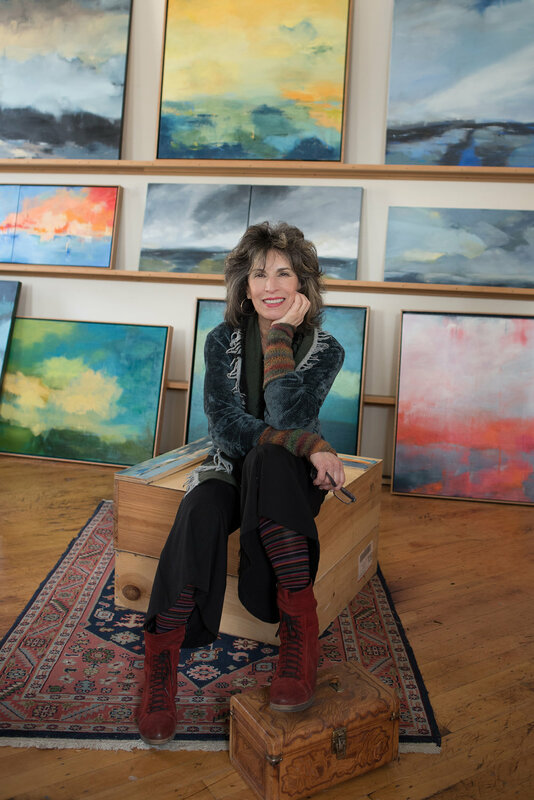 She began to paint in the late 1980s, and over the years has continued to explore various media: traditional oil painting, sculpture, calligraphy, and photography. Most recently, after a long hiatus, she resumed painting with oils. She is currently working on large(r) scale paintings that focus on atmosphere and her inner impressions of the landscape.